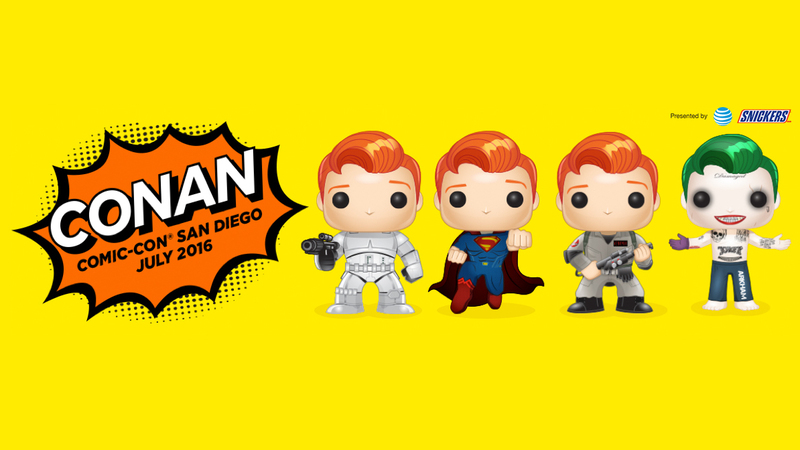 One of the hottest items at last year's San Deigo Comic-Con were the exclusive Conan O'Brien Funko Pop figures. Conan announced on last night's show four new Funko figures for this year's Comic-Con! This year's Conan exclusives are: Stormtrooper Conan, Superman Conan, Ghostbuster Conan, and Suicide Squard Joker Conan. Here is Conan's official announcement on last night's show! Just how exclusive are these?